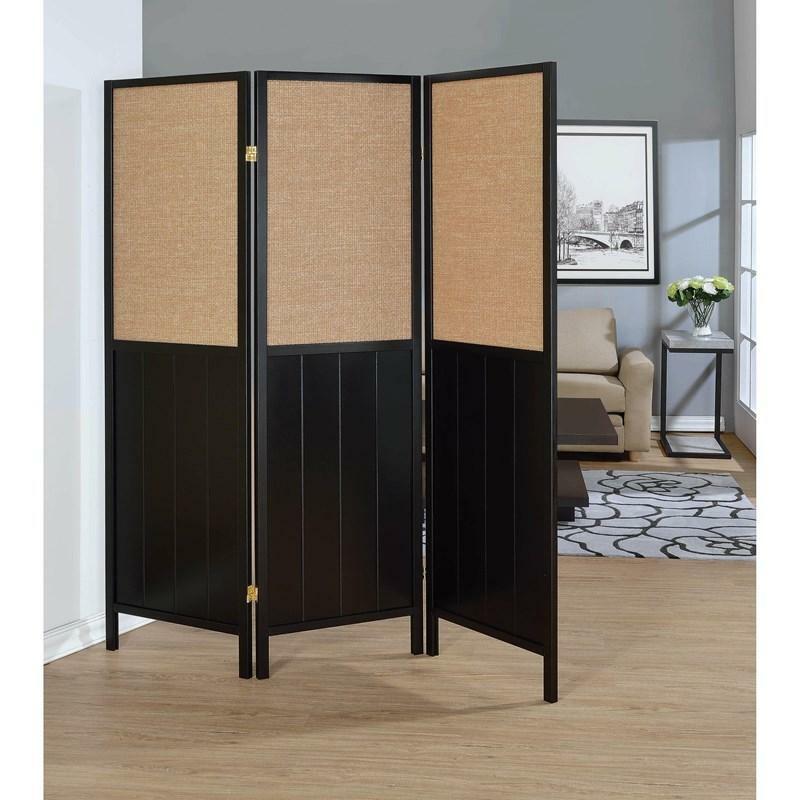 A minimalistic design, this three-panel folding screen offers functionality without an overbearing design. The wood on the panels is finished in a rich black. Each panel comes with a cutout filled with a tan woven fabric, contrasting the overall design nicely.